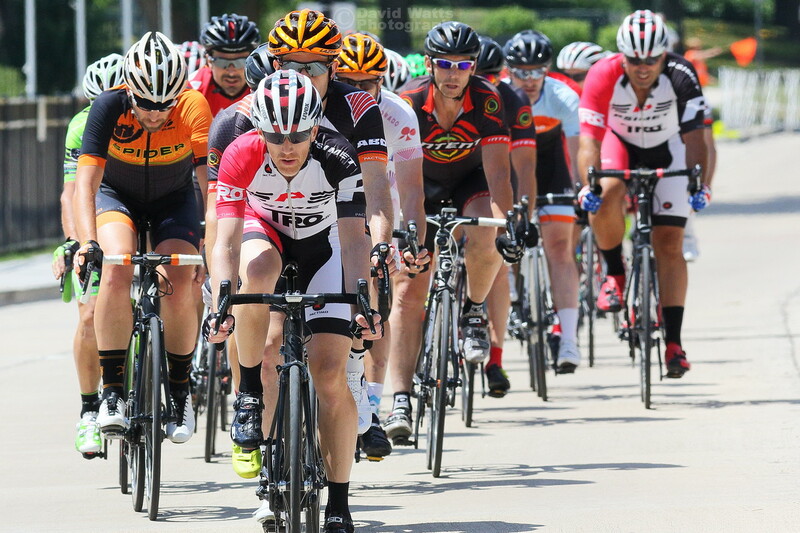 I hadn't shot a bicycle race since the Canon AE-1 was a new film camera. That, um, was a while ago, and I was more often on the course racing than I was shooting in those days. 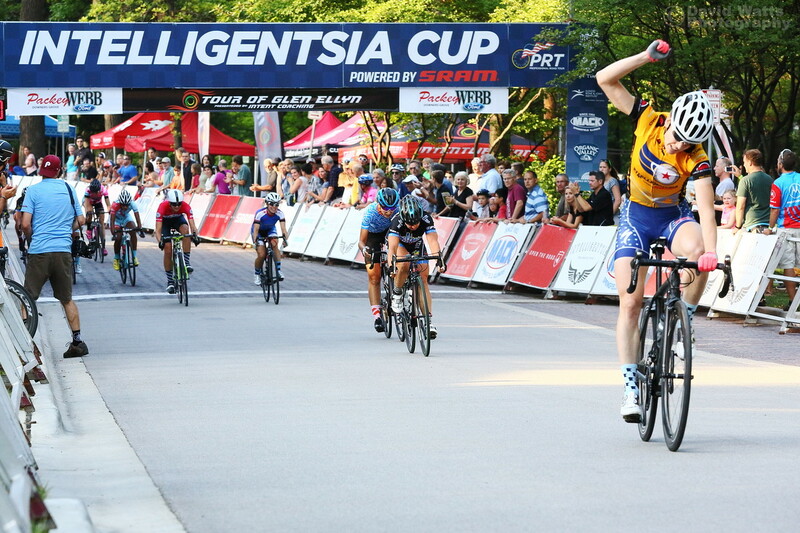 This past Saturday, the Intelligentsia Professional Cycling Series came to our town. I knew a couple months back to ask for the day off so I could shoot the event. The weather couldn't have been more perfect; no wind, 77 degrees F, blue sky peppered with clouds and it was dry. The day would be a long one (12+ hours of shooting) and I was carrying a fair bit of gear. But it was totally worth it. I need to work on my panning skills. Landscapes don't offer too much opportunity for this type of shooting. My hit rate was about 3 percent. A few turned out. There were 14 hard corners on the 1.4 mile course. Crossing guards and corner marshals were busy, and often had to call in spills. Only one in the 12 hour day was serious. One of three S-turns on the course. 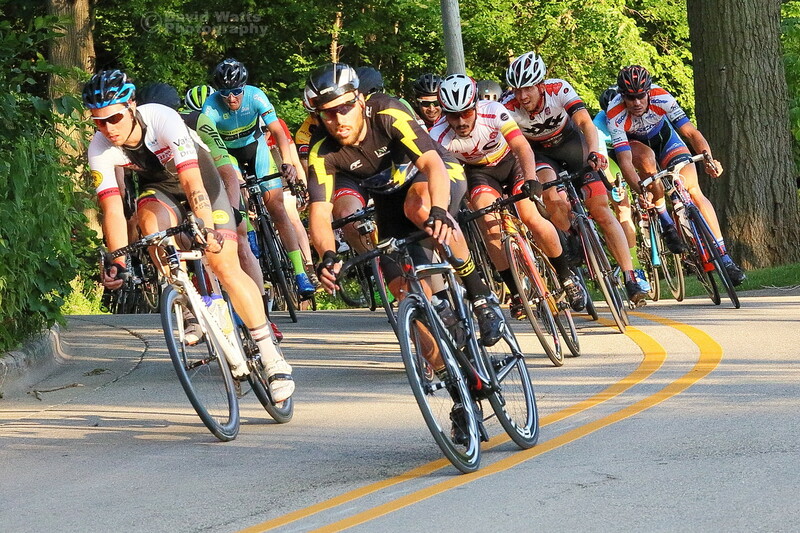 The amateurs were skillful at these turns, but the pros took them with speed and finesse. It was delightful to watch them work. This shot below are the amateurs. 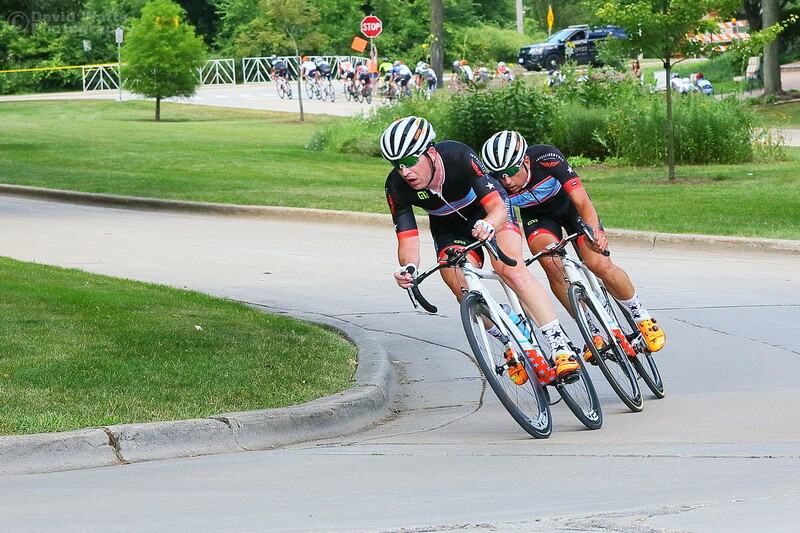 The very next pic below are the Pro Men 1 and 2's. This shot, and the next one were probably my favorites of the day. The 400 came out of my backpack for this shot. They were doing at least 35mph. I parked myself inside of a gated-off traffic circle and only had a small chance of being crashed into. Instant focusing on a speeding group like this was challenging. 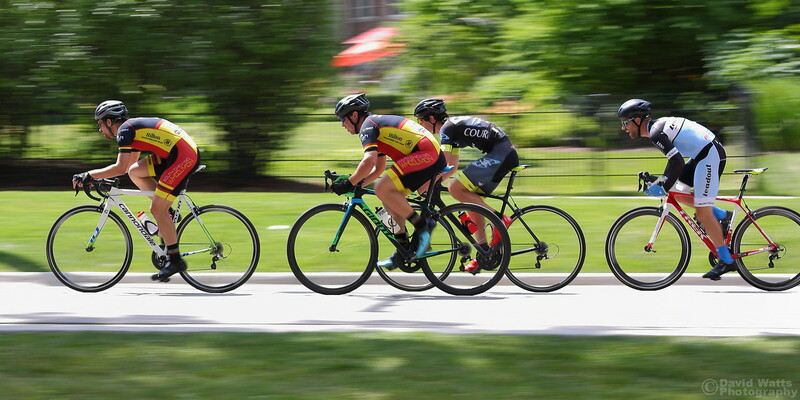 Later in the day I found out I had a cycling icon (Case 3) in my focusing options that reacted a fair bit quicker than the general Case 1 setting that I was having trouble with. Sure wished I had known that before I started. Again, landscapes don't move around much. Well done, David! I really like your panning shots! Thanks, Moose! I remembered to use Mode 2 for those, at least. ISO 50 and either 1/60th or 1/80th at about f/7.1. I was shooting on manual so the camera wouldn't need to do much other than auto focus. I was standing back about 75 feet with my 70-200 pinned at 70mm and all I could do was to try keeping them in the middle of my finder. Been a loooong time since I've done something like those. Thank goodness they weren't motorcycles or I'd have no keepers. Most of my "almosts" were that one or more of the cyclists were moving at a different relative speed to the one I was tracking. I know you do a fair amount of panning. Any suggestions on how to pan better for this subject? Well these pans turned out great. My other favorite is the 4 pros cornering. Great composition and light. See if you can sell it to the event. Nice set, nice work. The official photog was pretty darn good, I'd have to say. I learned a few things after looking through all of his. Some unusual vantage points and local flavor added, etc. He's going to get all the photos for any promotion. I went to Graham Watson's site a couple nights ago to got fired up and also felt small at the same time. If you aren't familiar with that name, he is worth looking up and perusing his portfolio going back some 30 years. Most awesome-ist race photographer ever. I was told, in another forum, that the ISO's I shot with were too high and the shutter speeds several stops too fast. The pans they thought were OK settings, which is where I thought I had the most problems. I tend to agree, for the most part, and will attempt slower shutters in future events. Thanks, Jerry! That finish line shot was taken past 8pm and it was almost completely dark at the time. Thank You Canon High ISO's to the rescue. Really great set of images, David. Despite what the armchair sports photogs say, those pans look as good as it gets. 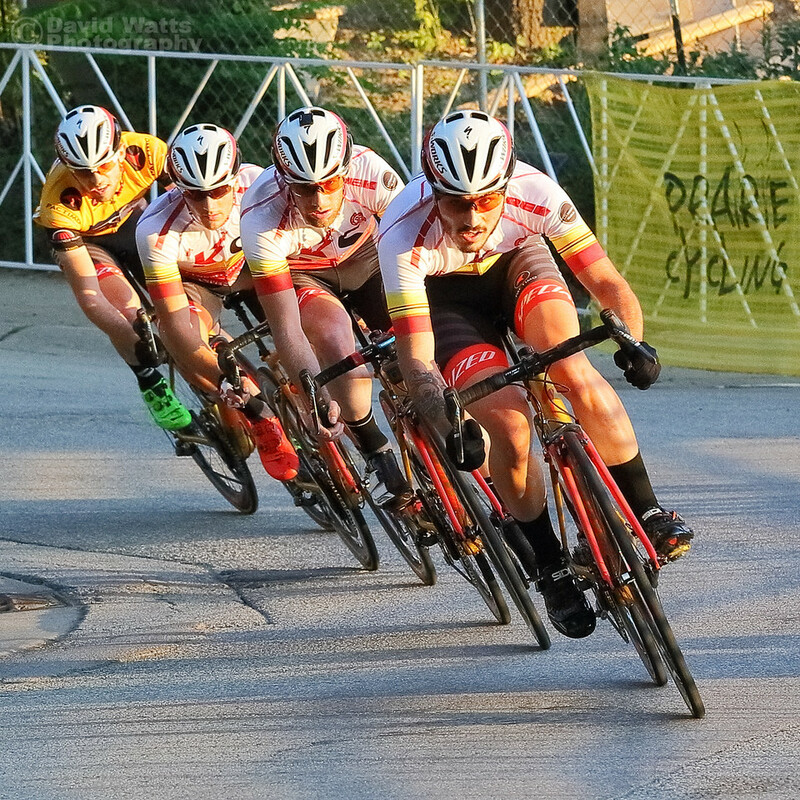 As an ex-amateur racer I love the shot of the 4 Pro's going into the corner David. Perfect formation and the look in the eyes of the lead rider makes the shot! I shot the UCI World Championships in Richmond, Virginia in 2015 and I'll post some later. I haven't been on here on a long, long time so what size should I post the pictures on here David? Many thanks. Thanks! I also raced both road and track, in those younger years when I was, um, indestructible. I should really post the shots from the 2017 series, which I think turned out pretty well. They're here, actually. Outtakes are here. Embedded shots can be almost any size, as the forum software downsizes them for smaller screens. Best, though, to keep them under 1280 pixels at the widest/tallest, for faster loading. Many thanks for the tips David! I'm from Scotland but lived in the USA since 1980. 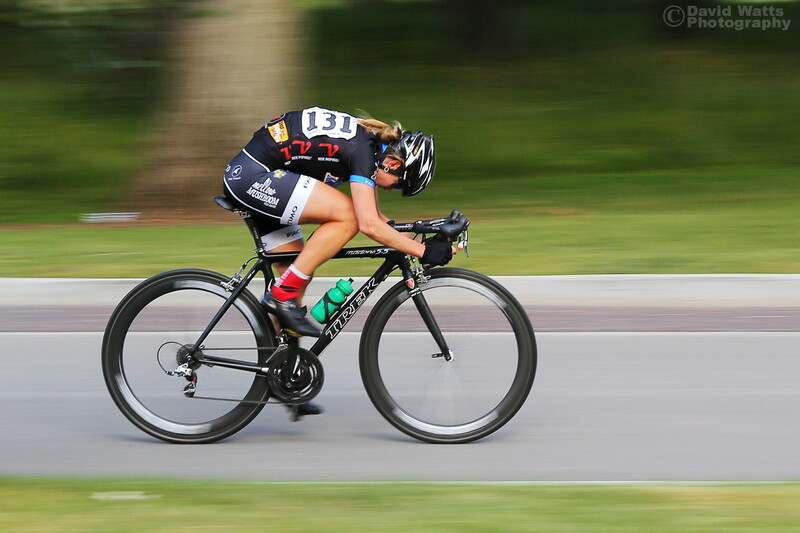 I was a time trialist in Scotland but since coming to America that all changed and nothing but criteriums here. All that done with now but still riding on a "fixie" through the winter. I'll post some World Championships stuff later today. I'll take a look at your other stuff too! Thanks, Torags. There is also a 2017 thread on this series.